Interactive work inspired by Christopher Nolan's film The Prestige. 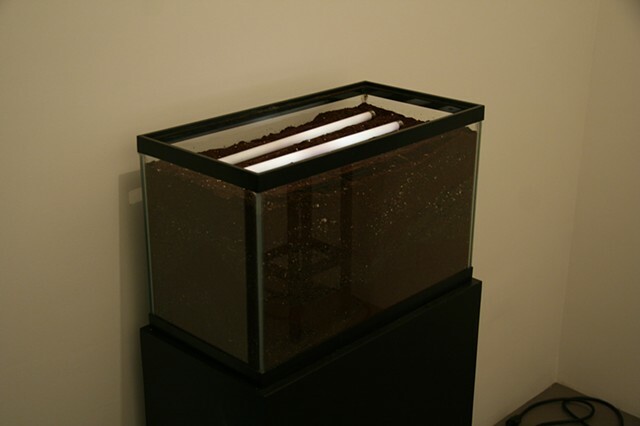 The fluorescent tubes in this work are illuminated wirelessly by a Tesla coil submerged beneath the soil in the vitrine. Viewers are encouraged to handle the tubes, which glow brighter when touched and are extinguished when removed.